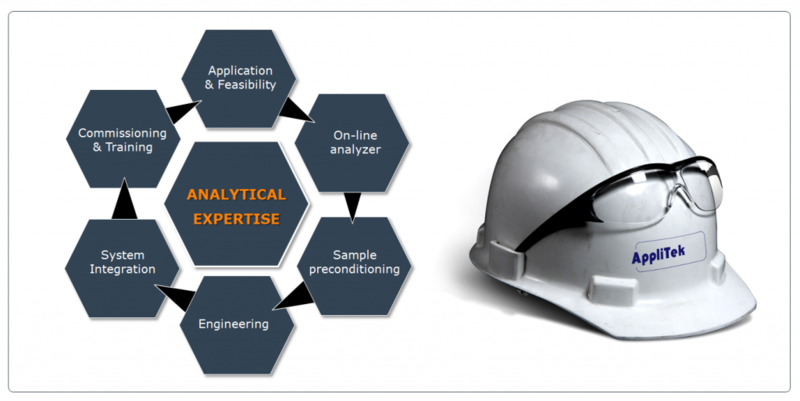 AppliTek supplies you with the ideal formula for all your needs in process control/monitoring. From the feasibility to the basic engineering until the implementation of the analyzer system, AppliTek is and remains your single partner. Concept and detail engineering is the responsibility of our Engineering department, coordinating at the same time integration and construction of the complete system. The Start-up and Service team is coordinating the commissioning in the field and assuring a smooth transition from us, manufacturer to you, customer.